It’s very early on in the growing season for those of us who live in more northern climates, but there are some delicious local foods making their way into spring markets and grocery stores that signal the start of a season of fresh, local foods. The growing season for many of these foods is incredibly short, so grab them and enjoy them while you can! If you have hit up a local market recently, or receive an organic food or CSA box, then you’ve likely seen that local asparagus, wild leeks (also known as ramps), fiddleheads, green garlic, sorrel, and dandelion greens are now available. 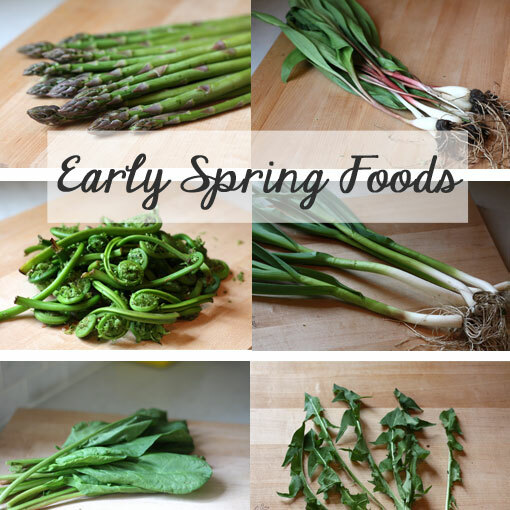 Many of these early spring foods have a distinctive, earthy flavour that doesn’t appeal to everyone, but I encourage you to try them all to if you see them! They’re all different, really good for you, and delicious cooked in a variety of different ways. Asparagus is best used within a day or two of purchase as it loses many of its nutrients, as well as flavour, very quickly. Though low in calories, it is rich in potassium, Vitamin K, folic acid (263mcg per cup! ), Vitamins C and A, B6, and riboflavin. Compared to other vegetables, it is quite rich in protein. It also contains fibre, iron and a few other minerals. It was historically used as a part of the treatment of arthritis and rheumatism, and also as a diuretic. Many people notice how strong their urine smells after eating asparagus, and that’s due to the amino acid asparagine, which is also part of the diuretic effect. I love grilling asparagus, using it in pasta dishes, and including it in frittatas and salads. It doesn’t require much additional flavour, and it compliments so many things! 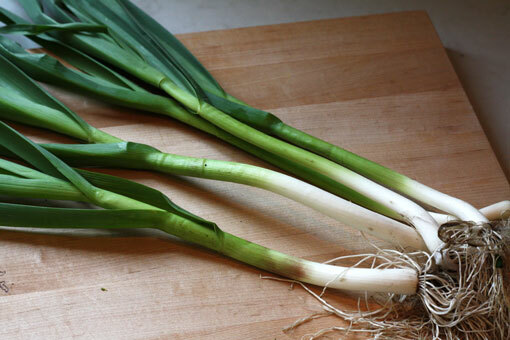 Wild leeks, also known as ramps, are much smaller in size than the more commonly consumed regular leeks. Their leaves are also softer, and edible. 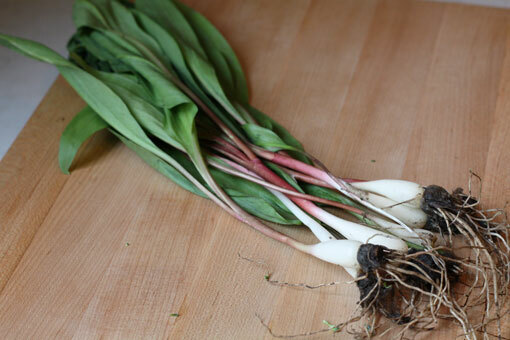 The flavour profile of ramps is stronger and more intense, but the nutritional benefits are similar to regular leeks. As a member of the allium family (onions and garlic) they known for their immune supporting properties and cancer fighting compounds, you would just need to eat more to produce the same effects since they are less dense. Ramps are great sautéed with other veggies, but once of the best ways to preserve their flavour is to use the bulbs and leaves together to make a pesto, along with some pumpkin seeds and lemon. Sometimes I combine the ramps with another leafy green to get a greater quantity of pesto and reduce the strength of the flavour a bit. Fiddleheads are the young, unfurled fronds of the ostrich fern and can only be found fresh in early spring as the plants are starting to grow. These are a wild food harvested from the forest by foragers. 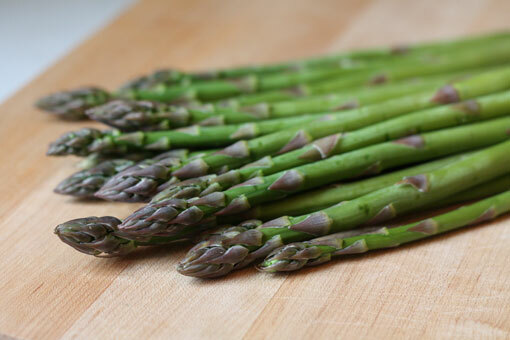 They are rich in nutrients like iron and potassium, high in antioxidants, omega 3 and omega 6 fatty acids, and have a delicate, earthy flavour that is similar to asparagus. 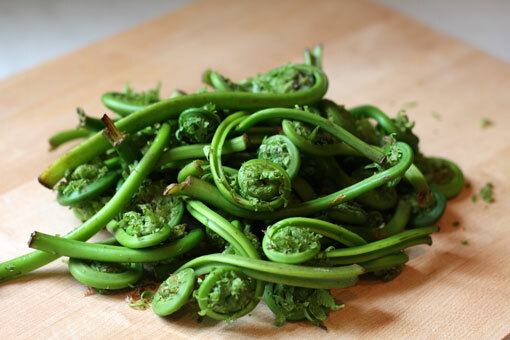 You need to cook fiddleheads first in boiling water before sautéing them to be sure that they are cooked all the way through. Do not eat them raw. They make an amazing addition to a dish of other sautéed spring vegetables, and I also love adding them to a “creamy” spring pasta dish made with cashew cream. Green garlic looks a lot like scallions/green onions, but are actually the whole, immature garlic plant that is pulled by farmers making room in the rows for the garlic bulbs to swell. Green garlic tastes like mature garlic, but is much milder, and actually sweetens as bit as it is cooked. Use it in any dish that calls for regular garlic, or use it on its own to make a pesto! 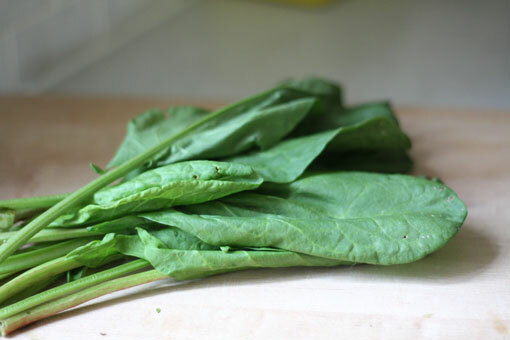 Sorrel is often considered an herb, though it resembles, and is sometimes used like a leafy lettuce green. It’s an excellent source of Vitamin A, Vitamin C, and also a good source of potassium and magnesium. Sorrel has a lemony flavour that mixes well with other salad green, or can be blended into pestos, green sauces, and added to salad dressings. You can really just chop it up and use it like an herb in any kind of salad or dish that would benefit from its bright, lemony flavour. It’s also much better raw than cooked. Though it can be more difficult to find, it’s definitely worth seeking out! 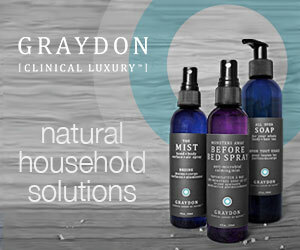 Dandelions are not prized by most gardeners and lawn enthusiasts, but their green leaves are nutritional powerhouses! Folk medicine has long prized dandelion leaves and roots for their healing properties, using them to purify the blood, settle digestion, support liver function, and to perform as a diuretic. 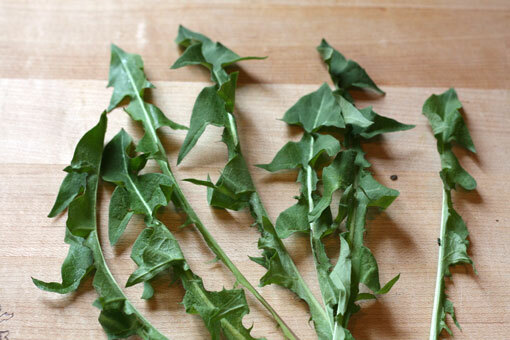 Dandelion greens are exceptionally high in Vitamin K, and Vitamin A, and are also an excellent source of fibre, iron, calcium, and potassium, amongst many other nutrients. They are quite bitter tasting and benefit from being lightly sautéed with garlic and onions, or mixed with other salad greens to balance out their flavour. There are many year round markets open where you will find some of these delicious spring foods already, and the rest of the outdoor markets usually open in the next few weeks. If you don’t see it at a particular stall, just ask! You might be surprised to find out that they grow it and can bring it in for you. Aside from local markets check specialty grocers, and Whole Foods, and if you get a CSA or organic food box delivery you’ll likely find it on the list of available local produce!